This is the core of the Story of Existence. This story posits your life not as some scripted part in a play or some meaningless random occurrence. Rather, The Story of YOUR Existence is the play you write for yourself. The part you contribute to the conscious unfolding of the Universe. 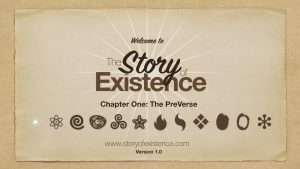 The PreVerse is the state of the Universe prior to the existence of conscious beings. This is the foundation upon which consciousness arose. 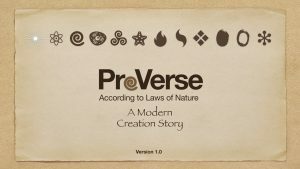 The PreVerse is a Modern Creation Story. 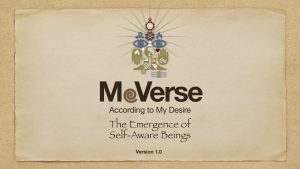 The MeVerse is the world of “Me.” The development of conscious beings that have self-awareness. The focus of a being in the MeVerse is inward, toward the development of the Me. 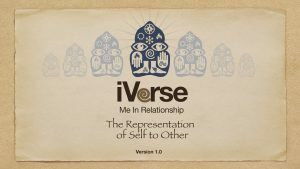 The iVerse is the Universe of Identity; the constructed self that we present outwardly to others. Our Identity is not Me, it is a representation of Me. 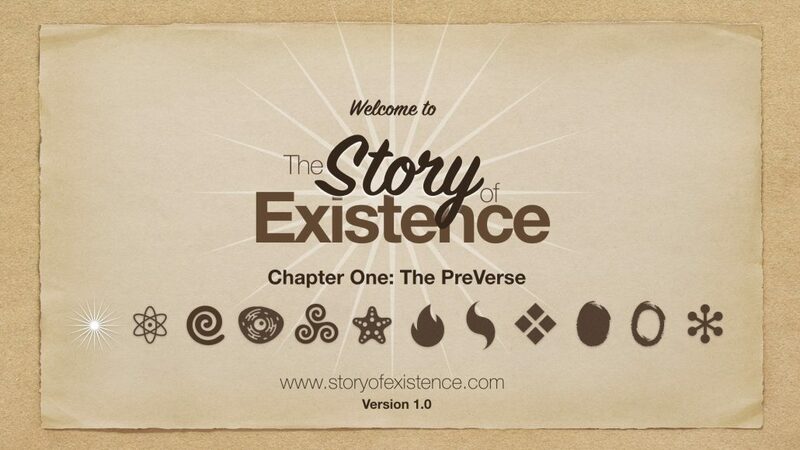 The TheeVerse represents our first experience and interaction with Community. 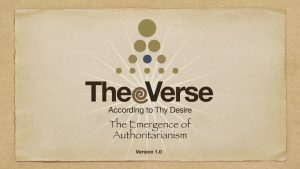 TheeVerse is Authoritarian Community. Authority is based in power and control. We are first exposed to TheeVerse through the power of nature over us, the power of our parents, the power of religion, the power of state, and the power of culture. For many, TheeVerse is a comfortable place to be, as it can shield one from the potentially overwhelming responsibility of a self-directed life. TheeVerse gives answers and guidance. It provides clear rules and boundaries. But ultimately, TheeVerse robs an individual of the expression of their own Verse. The UnIVerse , pronounced “You and I” Verse. This is the communal universe of attempted equality, or egalitarian community. This is the Universe of democracy and market economies. 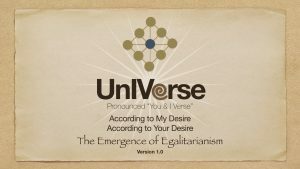 Egalitarianism is a utopian ideal, as captured in the mantra in the U.S. Constitution to “build a more perfect union.” Egalitarianism can never be reached, but the invention of such communal structures can and has improved the lives of many humans. This is the Universe of the Golden Rule, which says “Do Unto Others as You’d have Others Do Unto You.” That rule is fundamentally self-directed, as the standard of treatment of others is still self-focused: what you want others to do to you. The majority of people who live in Western Culture inhabit the UnIVerse. 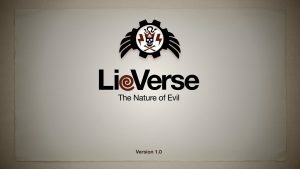 The LieVerse is the Universe of exploitation of others, the Universe of sin, greed and power. This is the dark side of each of us. We all exist in the LieVerse to lesser or greater degrees. We all prioritize self over others to different degrees throughout our lives. The LieVerse gives us an understanding of the relative nature of our values, the impossibility of being universally “good” in the judgement of all other beings. You are both good and evil. 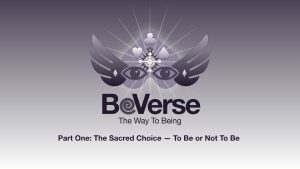 The BeVerse is the Universe in which a Me chooses to overcome the given self, the self that has been shaped primarily by biology, politics religion and culture. Instead, a BeVerse individuals seek to transcend the MeVerse and enter into a higher plane of existence. Being. 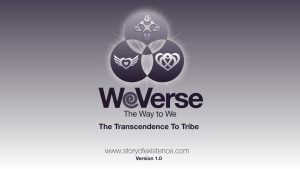 The WeVerse is the communal parallel to the BeVerse. This is chosen community. WeVerse can only exist in a collection of BeVerse beings. The WeVerse is Tribe. The WeVerse is the Universe of The Platinum Rule, which says “Do Unto Others As Others Want Done Unto Them.” It is an other-focused standard. The WeVerse, however, does not discount the individual. The mantra of the WeVerse is “You Are My Foundation, I Am Your Extension.” This emphasizes the centrality and the importance of the Being. The only measure of the conscious universe is a measure of individuals. There is no “collective consciousness.” There are only individuals gathered into community. And Community is a technology, a tool that individuals build and use to further their own interests. So, What will your Verse be? 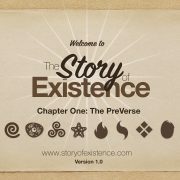 The Story of Existence is your story, our story. Liked it? Take a second to support Timothy on Patreon!